I have finished pt. 1 of Knight fall and am hoping to get the next volume! Batman is seriously wounded and a run with scarecrow almost kills him! As Bane plans Batman's fall , Batman is forced to kill villains and thugs and it drives him to mutilate ZsasZ's head. 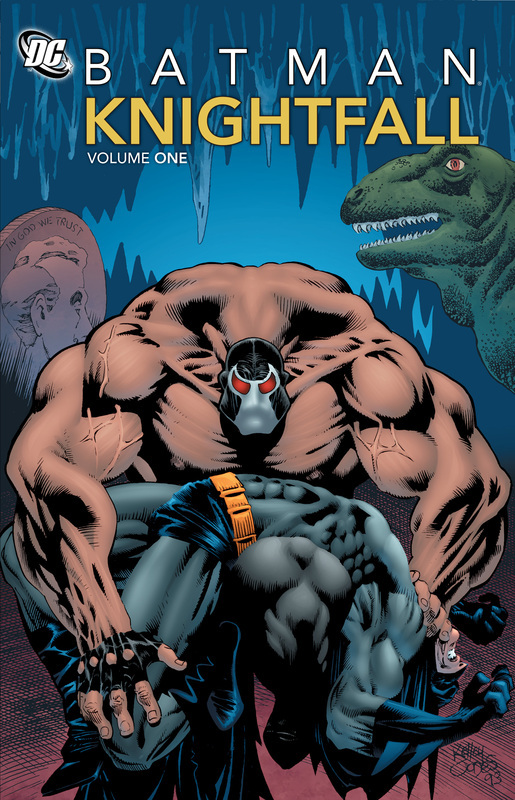 Bane invades the bat cave and batman's back is broken. Robin and Azrael are sent to get a medicine which lowers the risk. 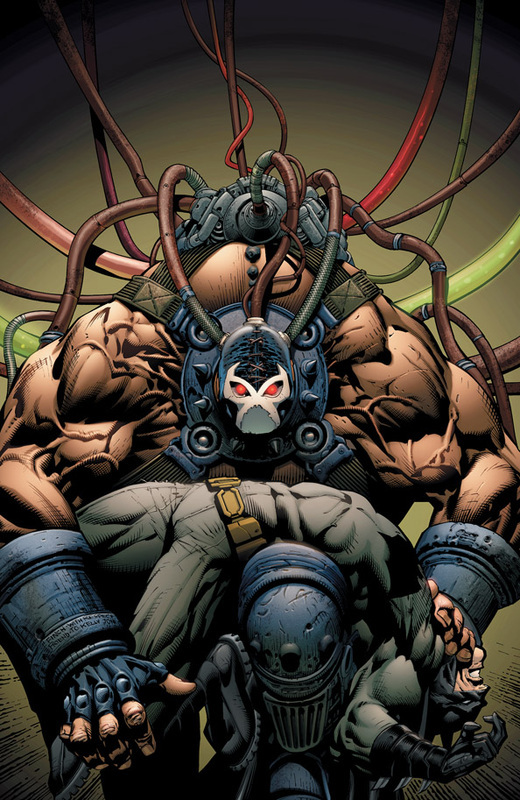 Meanwhile Bane is getting stronger and when the short-tempered Azrael accepts the mantle of the bat what will happen? Bane and his accomplices have arrived at Gotham and make a plan to drive the batman mad.They break open the Arkham Asylum and terrorize Gotham with some of the most dangerous and violent criminals. Batman is tired and angry and weakening....Banes plan is working and after saving lots of hostages fro Joker and ZsasZ.I have really been impressed with the illustration and great storyline! This week I read a new chapter of Batman:Knightfall.The boy, now an adult sent to be tested on by scientists to see if they can make his body stronger and more sharper. The Man survives the dangerous tests and attacks the prisoners and prison warden. The warden calls him "A Bane to everything holy" And that is how he got his name ,Bane! Bane escapes the prison with 3 companions and heads for batman....I have really enjoyed this book and there is still 600 or so pages to go! This week I am reading Batman: Knightfall. It is a comic which has lots of pages and is dark and violent. I have just started the book but so far I am enjoying its bright illustrations. It is about a boy in a prison who is thought to be killed, but survives a 31 day coma. He gets revenge on his killer by using a knife to kill him and mar his face. The prison warden is disgusted and keeps him in a tiny cell. I have read up to there and I am absolutely hooked! Hello readers , I am The Mystical King of the Realm of Books. Today I will review a Book of your own choosing. There are 4 choices for you. You can vote which one you want in the poll. I am crazy about books And love fantasy and sci-fi!